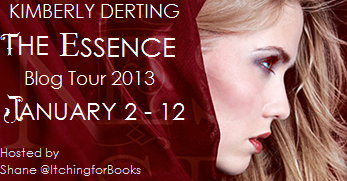 The Kimberly Derting Essence Blog Tour has wrapped! Thanks for participating. I am glad I stopped by and saw thisI Sending you an email now! :D Shane has the best tours! Need to read The Pledge! Thanks for the giveaway! The Pledge is one of my favorite books, I can't wait to read The Essence!